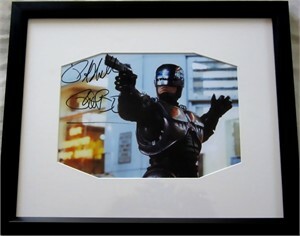 Robocop 8x10 action photo autographed in black marker by actor Peter Weller and inscribed Robo. Weller starred as the title character. 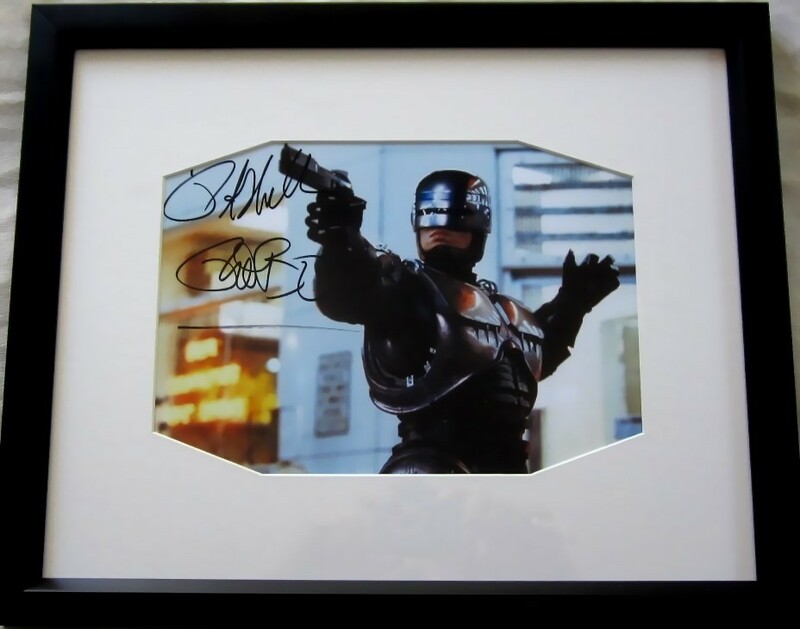 The photo is beautifully matted and framed with glass, ready to hang. Obtained in person at celebrity golf tournament a few years ago. With certificate of authenticity from AutographsForSale.com. ONLY ONE AVAILABLE FOR SALE.